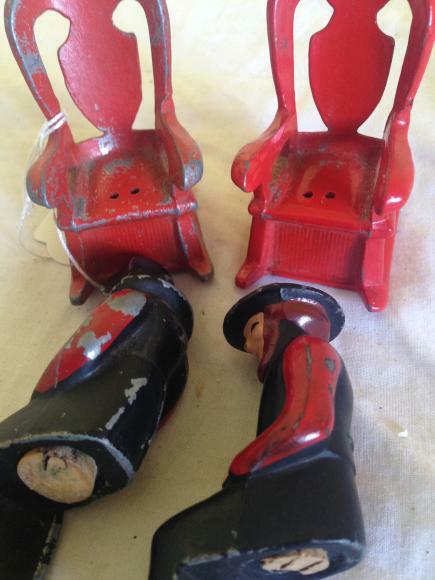 A 100% original c1920s Britains lead boy on a swing which comes from the garden range. It is about 9cm tall . Complete with minor paint wear only. 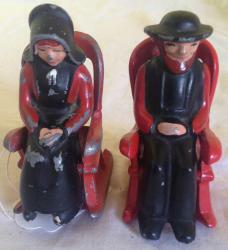 A pair of very unusual salt and pepper pots in the shape of an Amish couple. They are die cast and stand about 3" tall. 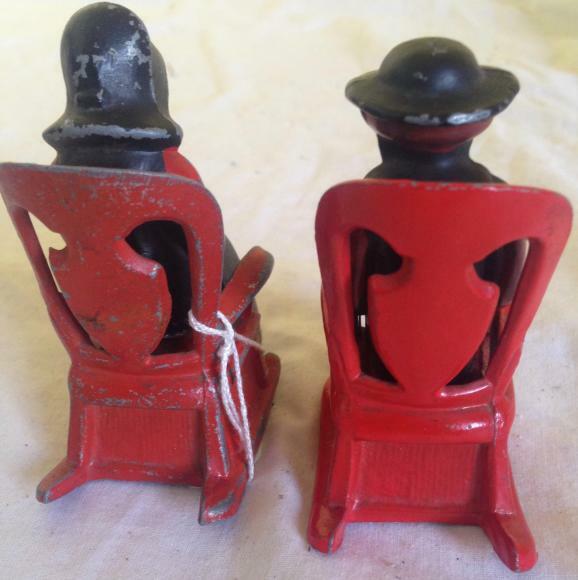 The bases are for pepper and the figures for salt. The woman is a bit worn but the man is excellent. They still have all four corks. 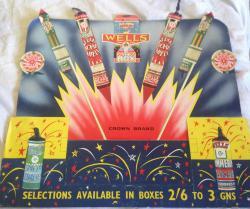 An extremely rare cardboard shop show card for Wells Fireworks which dates from the 1950s. It pops out to make a 3d display but has never been used. It measures approximately 17 x 17"
Some blue fuses are missing and theres a bit or wear around the edges but the art work is fabulous. This is a very hard to find souvenir from Madame Tussauds in 1933. Made by Britains it is a 3" tall lead figure of Henry V111 . 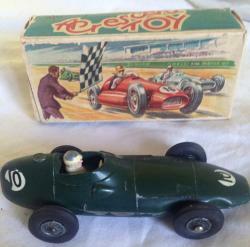 It comes in its original box. Some wear but generally in very good condition. The classic board game based on Dover Patrol by Gibsons. This version is for the air and is called Aviation. 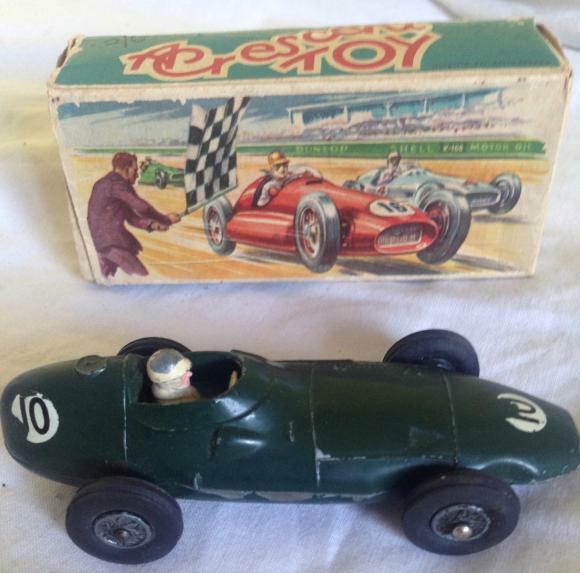 It comes complete with the board and all the pieces but no rules sheet. 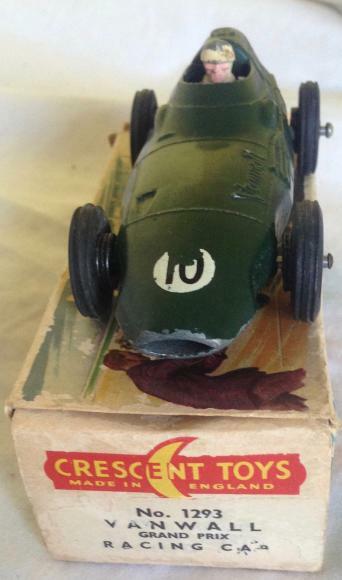 One of the hardest to find die cast cars. 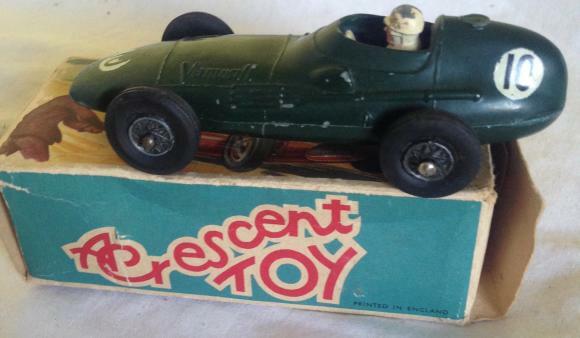 This is the Crescent Vanwall racing car , model number 1293. The car has minor wear and some scratches to the decals. 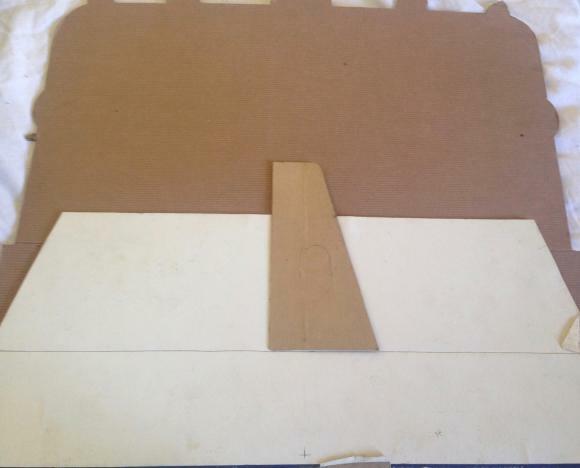 The box is complete but has one end tab detached and is a bit worn. Still almost impossible to find. A lovely old pre war cheese scraper and corer. Its 10" long with a treen handle. Good enough to still use.